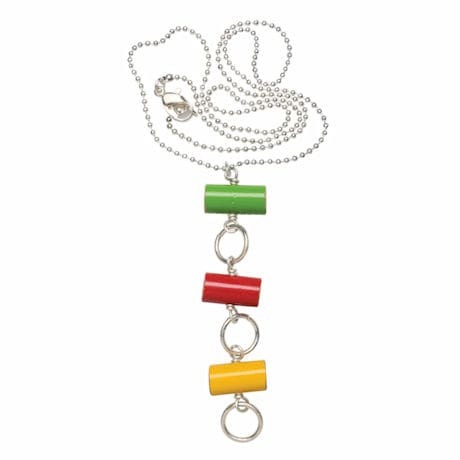 Perfect for teachers, artists, and creative souls of every stripe, our Colored Pencils Necklace is a unique and cheerful accessory, sure to brighten any ensemble. 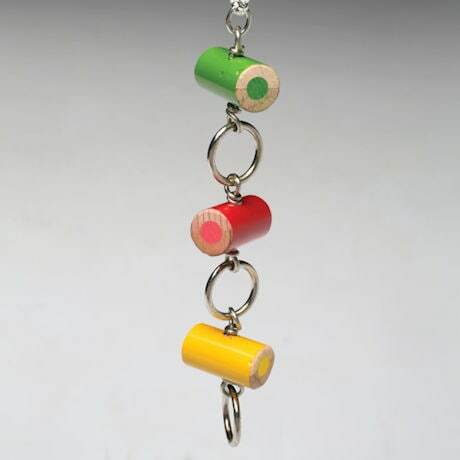 Three ½" lengths of colored pencils (colors may vary slightly) are linked with steel rings, creating a vibrant, geometric, 2"-long pendant that hangs from an 18" silverplated ball chain. What a fitting gift for that colorful character you know...or a jazzy little splurge for yourself!